Material: 73% viscose, 23% nylon, 4% elastane. Comfortable leggings with decorative stones from HAPPY HOLLY. 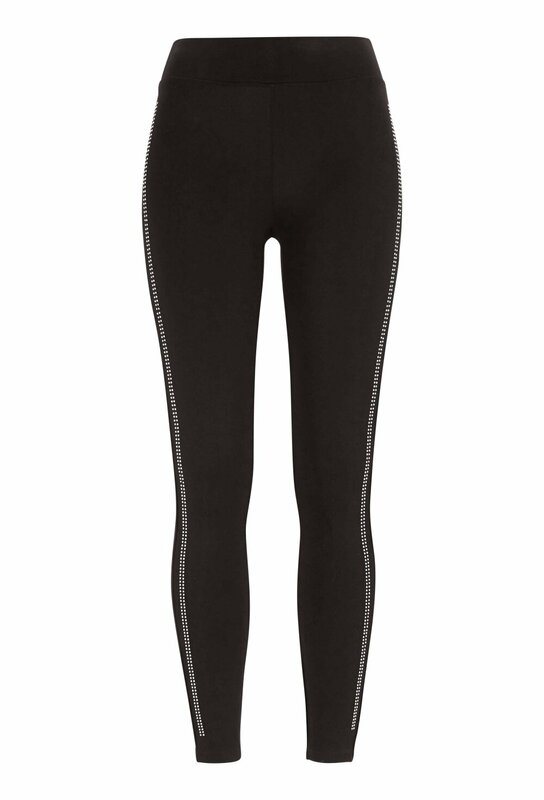 The leggings are elasticated at the waist for a comfortable fit. - They have a stronger, stretchy quality. Inside leg approx. 67 cm in size 36/38.